How much do you think the way you think governs your happiness? We have, by the latest estimates, between 40,000 – 70,000 thoughts per day. How we receive, respond and act upon those thoughts can be the biggest determinant in the outcomes of our lives (both emotionally and physically). Not all of our thoughts are helpful, in fact many can be completely undermining. Some might not even be yours at all. If you’re wondering how to take better control over your thinking process and by extension your life, this episode is for you. From an early age, Ora has been a seeker of knowledge, with a particular interest in discovering how our thoughts work. Her lifelong journey towards this inner awareness, along with her distinctive combination of intuition and compassion that allows her to open up avenues of trust and connection, eventually led to her becoming a life coach and developing her simple yet effective questioning method, designed to uncover both the pitfalls and potential our thoughts have in determining our destiny. 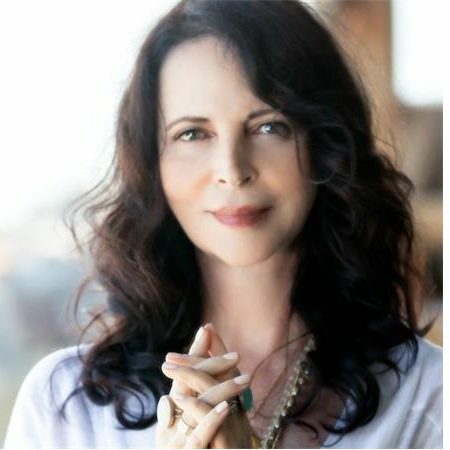 Her work has been featured in Women’s Health Magazine, Reader’s Digest, Conscious Lifestyle Magazine, Fast Company, Success Magazine, Spirituality & Health, Elevated Existence, NBC News, LA Yoga Magazine, Yahoo! Health, and many more. If there is an overriding philosophy that Ora Nadrich ascribes to, it is this: you can help yourself solve your own problems, you can do it daily, and the process doesn’t need to be complex. Having overcome her own chronic anxiety early on in life, Ora came upon a seven step inquiry process that helps investigate your to investigate your thoughts and promote mastery over your mind and by extension, your life. “Say’s Who?” By asking yourself “Says Who?” – you are confronting and challenging a negative or fear based thought to find out what it’s doing in your mind. “Have I heard someone say this thought before?” – By asking yourself, “Have I heard someone say this thought before?” – you’re finding out if this is your original thought, or if it came into your mind because you heard someone else – such as a parent, relative, teacher, spouse, boss, or anyone other than yourself-say this to you before. “Do I like this thought?”– By asking yourself “Do I like this thought?”– you’re finding out if this thought is desirable or appealing to you. If not, why are you thinking it? “Does this thought work for me?” – By asking yourself “Does this thought work for me?”– you’re finding out if this thought is useful or productive for you, and if it supports your desires or goals. “Do I want to keep this thought it let it go?” – By asking yourself “Do I want to keep this thought or let it go?” – you’re finding out if you want to hold on to a thought that serves no useful purpose for your well-being. How did you end up as a transformational thought coach? How did you investigate your thought process and find what was making you sick? How important is it that we establish where our thoughts come from? How important are negative thoughts for us? How do emotions and feelings and energetic charges related to thoughts play in to self inquiry? What are the 7 steps of the “Say’s Who” method? Why is curiosity of self-inquiry so important to mind mastery? How do we learn to disidentify with certain thoughts? How much control do we really have over our thoughts and responses?